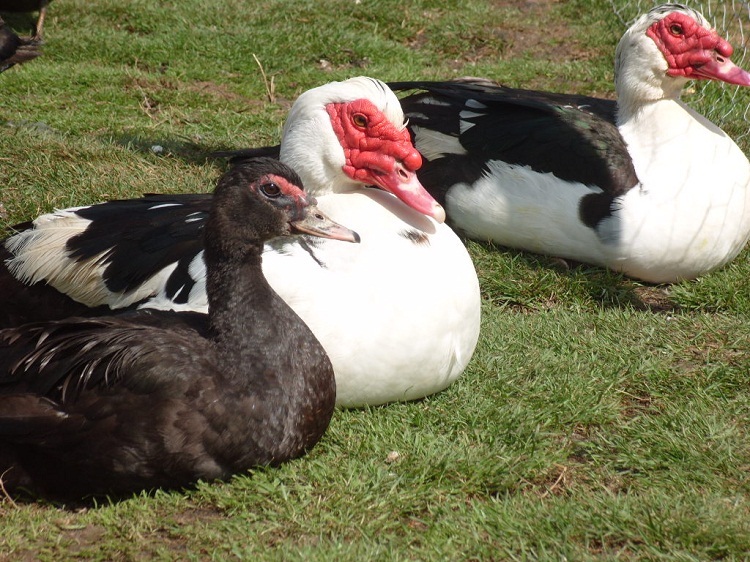 Muscovy Ducks are a wild tropical duck species native to Mexico as well as Central and South Americas. They were domesticated by the natives in these areas a long time ago. The ducks later established themselves in various parts of North America including the United States. 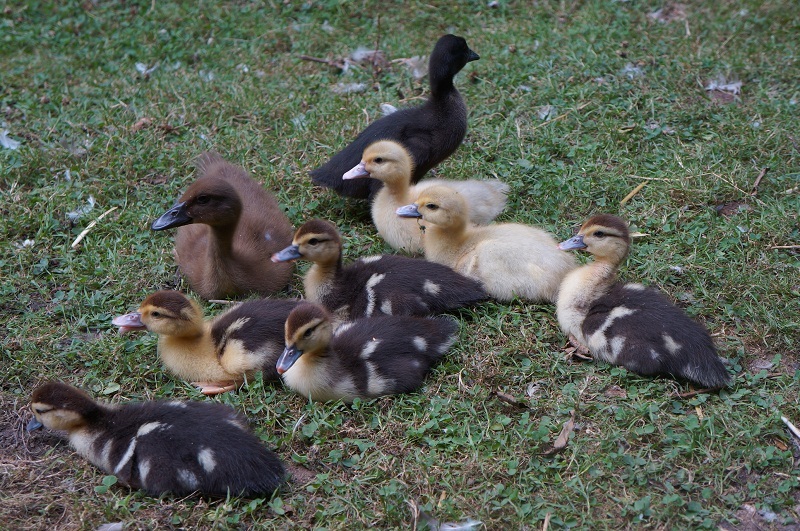 They are often bred as domestic ducks in different regions of their distribution range. Other names of the species include Greater Wood Duck and Forest Duck. 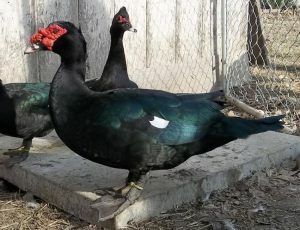 They have an interesting appearance with certain characteristic features differentiating the male and the female ducks. Size: Domesticated Muscovy drakes grow around 34 inches (86 cm) in length while domesticated females grow no more than 25 inches (64 cm) in length. The wild Muscovy, which is the predecessor of the domesticated species, is usually 26 inches to 33 inches (66 cm to 84 cm) long. Weight: The males generally weigh somewhere between 10 lbs and 15 lbs (4.6 kg and 6.8 kg). The hens are much lighter with their average weight ranging from 6 lbs to 7.9 lbs (2.7 kg to 3.6 kg). Wild ducks can weight anywhere from 2.4 lbs to 9 lbs (1.1 kg to 4.1 kg). Wingspan: The wingspan of the wild species ranges between 54 inches and 64 inches (137 cm and 152 cm). Color: The wild Muscovy species is blackish in color with distinct white patches on the wing. The face is dark red or blackish with yellowish brown eyes and a black bill marked with pale pink spots. The legs and feet are black in color. The juvenile bird has a duller coloration with or without the white markings on the wings. The domesticated breeds often vary in coloration from one another. Most are black and white or dark brown in color, especially around the head and neck. Other colors including pale white and lavender are also found. Both the male and the female have red or red-black face. Head: The wild drakes have a short crest on their napes. The domestic males have a dark red or blackish knob at the base of their bills while the females have feathered face. The prominent knob on the head is absent in females which is one of the main differences between males and females. The wild birds are found in certain regions of Southern Florida, the lower Rio Grande River Valley in Texas and southern Canada. Their distribution range extends from the western parts of Andes to Ecuador in south and the eastern Andes to the northern parts of Argentina and Uruguay. The feral populations have also established in some European countries as well as New Zealand. 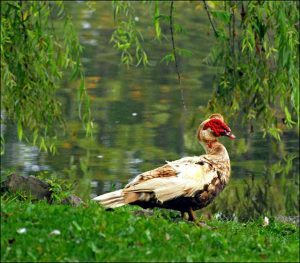 Muscovy ducks prefer watery habitats with dense vegetation and large trees, like rivers, brackish coastal wetlands, ponds and wooded swamps. Escaped domestic birds are often seen in various parks across America. Most populations are non-migratory or irregular migrants without any established migration patterns. The birds may migrate to avoid dry weathers with fluctuating water conditions. The diet of these omnivorous birds includes small fishes, crustaceans, termites, millipedes and even small reptiles. They also eat various plant materials like tree roots, leaves, stem as well as terrestrial and aquatic plant seeds including agricultural crops. Wild ducks are shy and avoid coming into close human contact. However, they may turn quite aggressive when attacked or cornered. They often make low-pitched sounds and wag their tails, whether to show their playful nature or to scare away predators. These perching ducks roost in tree branches in pairs or small groups. The birds are often seen flying in groups during dawn and dusk. The males do not generally get far off the ground even though they can fly. They fly with their necks held straight like a goose. Domestic ducks are often preyed on by various carnivorous mammals like dogs, foxes, raccoons, opossums, minks and skunks. Other predators include various birds of prey such as herons and owls as well as large reptiles. They have clawed feet that allow them to move easily on land. Like other ducks, their strong, broad flat bills help them to catch fishes and insects under water. Their bodies are covered with waterproof feathers that keep them insulated when in water. Birds from the wild species are pretty strong flyers, being able to fly away quickly to avoid being preyed on. Mating begins in early August and continues through May with the exact breeding season varying depending on the range and population. They become sexually mature at one year of age. Unlike many other duck species, the drakes do not take part in any dancing rituals to impress the hens. They often fight with each other to earn the right to mate with a female. Mating can take place either on land or in water. This species can breed up to 3 times each year. One male may mate with many females. After mating, the female Muscovy Duck builds her nest in tree cavities near a water body. She lays 10 to 16 eggs in the nest and remains there to take care of them. The incubation period continues for about 35 day, during which period, the hen leaves the nest only once every day to find foods. The female is known to chirp while laying the eggs so that the ducklings imprint to her. 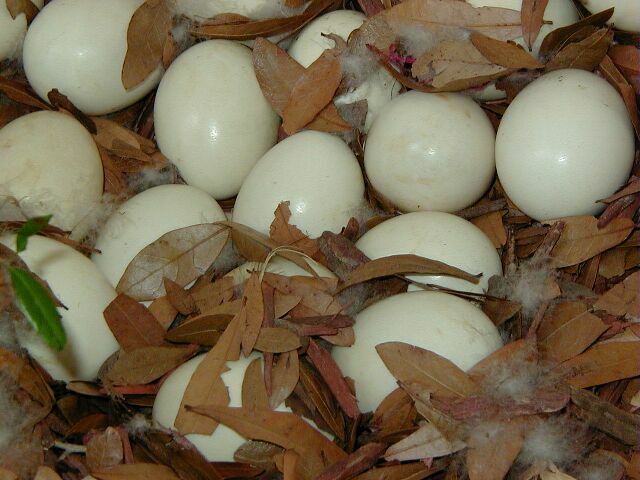 It takes around 24 hours for all the ducklings to come out of their eggs after the first egg hatches. The ducklings remain close to their mother for the first 10 to 12 weeks to keep warm as their bodies are not yet developed to produce adequate heat. 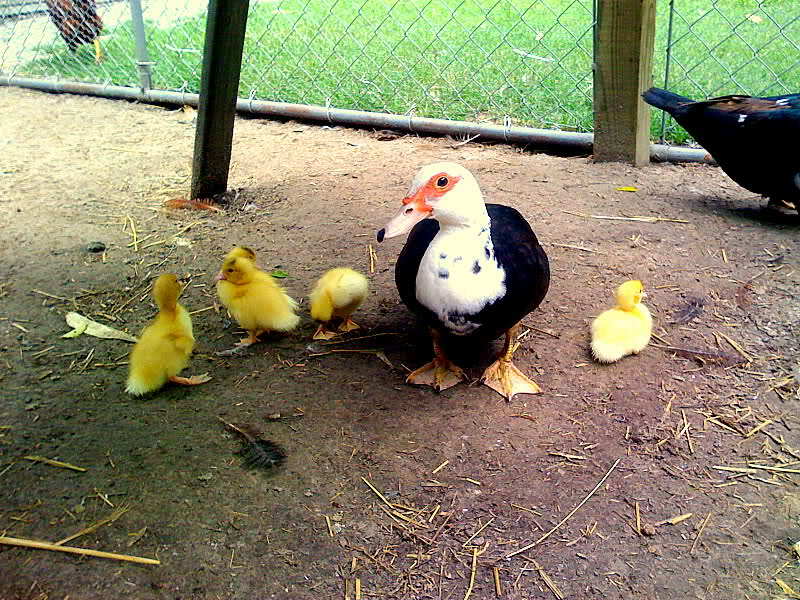 The mother can risk her own life to protect the baby ducks from predators and other dangers. The male also stays close to the nest for several weeks to protect the ducklings. 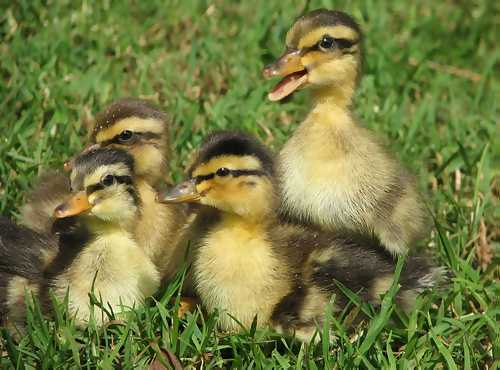 The ducklings are trained to hunt and forage for food by both parents. Their average lifespan ranges between 8 years and 12 years in wild. They may have a longer life expectancy of around 20 years in captivity. Both the wild and domestic species are usually silent and are rarely heard calling or making any sounds unless they are attacked. The hens make a soft trilling coo while the drakes have a low and hushed breathy call. The males can also make puffing and hissing sounds to ward off enemies. Muscovy Ducks can make good pets because of their peaceful temperament. 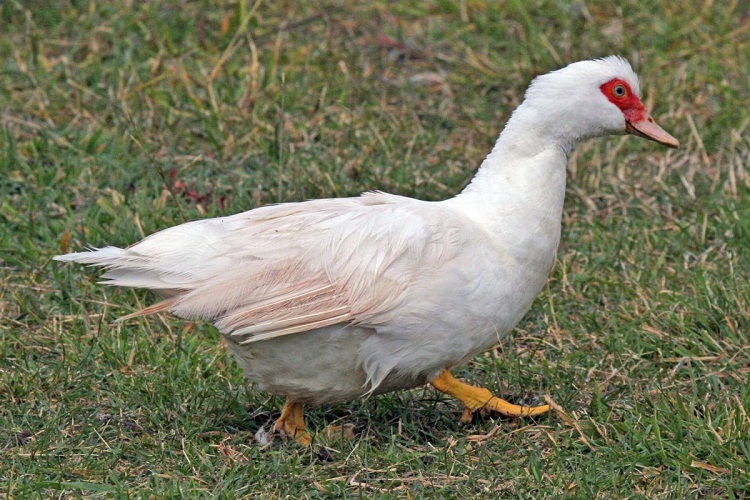 Like all other domestic ducks, they need water to survive. Make sure to house them in a large water body such as a pond or a lake with plenty of trees growing around it. The trees should be large enough to have cavities in the trunks to allow the ducks to build their nest. It is also essential place a few nesting boxes so that they can nest in them in case there are no tree cavities available. They do not like to be handled by humans and can find their own food. One can provide them with all-purpose vitamin and mineral supplements for ensuring their overall health. But, it is advisable to consult an expert before using any supplements to make sure they are safe for the birds. These birds are much less prone to diseases compared to other duck species. This species is included in the “Least Concern” category by the IUCN as there are no immediate threats to their existence. These ducks do not swim as much as other ducks as they have underdeveloped oil glands. The domesticated Muscovy duck is the sole domestic duck species that has not been bred from the mallard stock. They are often raised for their meat, which is used for various culinary purposes by humans. The taste of the meat is often compared to that of expensive ham. The record for the heaviest Muscovy is held by a male duck from an Australian breed which weighed almost 22 lbs (10 kg). 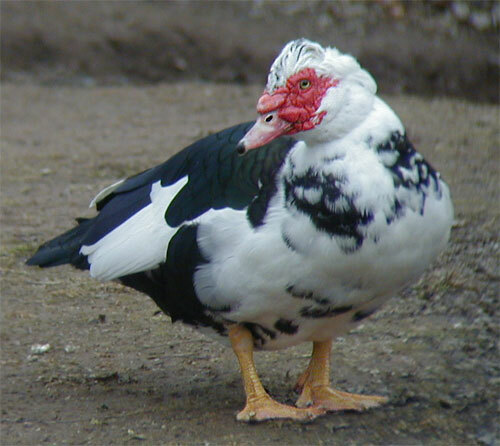 Valuable information about muscovy ducks. One walked into our yard in sort of a remote spot on kauai. Fenced yard. She layer 2 eggs when she arrived but did not sit on them. None since. She is a picky eater. Currently she is not going into the bushes and greenery for sleep. She is vigilant the entire night. She herds the wild chickens, too. I do not know what to provide her for night time. Do male Muscovies kill female muskovies? A black Muscovy showed up in our back yard 2 months ago. He is a male. We live near a small river on our property. He likes sunflower seeds that drop down off the bird feeder. We named him ducky. I believe he is wild. Winter is coming. What can I do for him. He visits me twice a day. 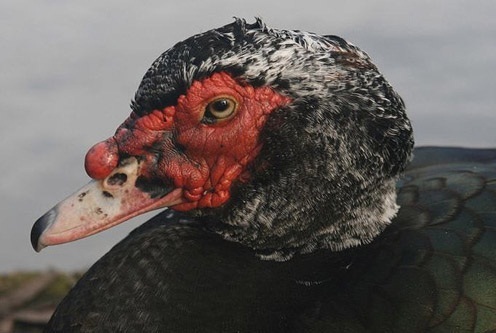 can a muscovy detect an alligator in the near vicinity where they a swimming? how likely is the alligator to eat the duck? 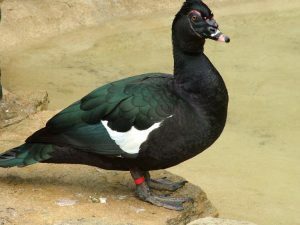 There are quite a few Muscovy ducks at my local park and the other day I saw a Male at the rocky/pebbly edge of the lake sort of shuffling, putting his head under water and picking up a rock, dropping it and then picking it up again. Was there a special reason for this behaviour, was it disturbing the rocks to search for food under them? Hopefully you can shed some light on this for me. I do have photos if you’re interested. 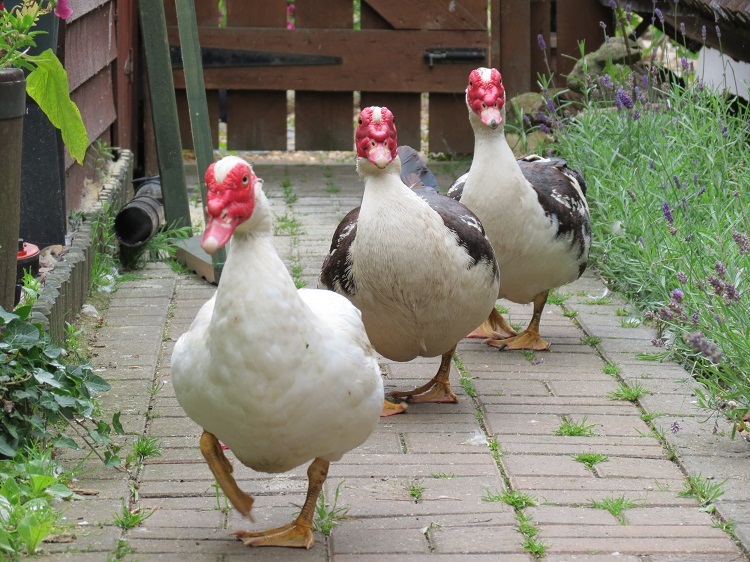 When we went to feed the ducks l believe amongst them was a Muscovy duck it did not seem to go in the water but eat our bread.why would it be living with ducks on a pond in the middle of a town? Is this normal .? My male muscovy just went 20 feet in the air and flew off to the neighbor’s yard. Since there’s below zero temperatures coming, we had to chase him down, bring him back and clip his wings. Male most certainly CAN fly. Naively, I believed the comments that said otherwise. 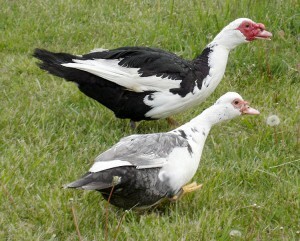 I have seen 2 Muscovy ducks in Fresno, California. They were in a water basin that was behind my house and after reading the info on this type of duck on site, I am sure I identified them accurately. The sound they made while wagging their tales like a dog the sound was also like the way a dog pants.